The British Racing Drivers’ Club (BRDC) and Silverstone Circuits Limited are delighted to have been awarded a first round pass for a £9.1 million bid to the Heritage Lottery Fund (HLF) for their project ‘Silverstone Heritage Live’. The initial funding allocated by the HLF for this project is £446,068, to which the BRDC will add further cash and volunteer input to allow development work to a total value of almost £892,136 to be undertaken, helping the BRDC and Silverstone progress its plans to apply for the full grant in 2014. Silverstone Heritage Live, which is planned to open in 2016, will bring Silverstone’s history to life and feature the BRDC archive, a heritage trail and live interactive experiences within a Heritage Hub located at the entrance to the circuit. As well as the BRDC archive, which is a unique collection that charts the history of the Club, other high profile motor sport names including David Coulthard MBE, Eddie Jordan and Christabel Carlisle have all pledged items from their collections to be on display at the Silverstone Heritage Hub. Stuart Rolt, BRDC Chairman, commented: “We are very proud to have won this grant and are extremely excited about the project. 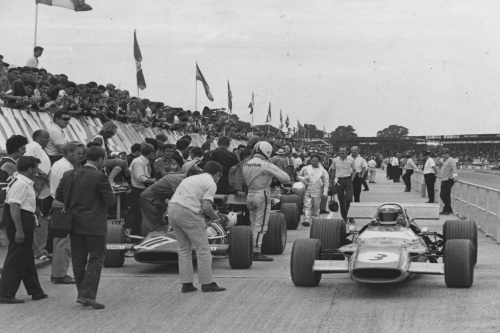 The BRDC and Silverstone have played an important part in the history of British motor sport, and the Silverstone Heritage Hub will give us an opportunity to share this with motor sport fans from around the world. The BRDC, Silverstone and the HLF will continue to work closely together in order to apply for the full grant in November 2014.